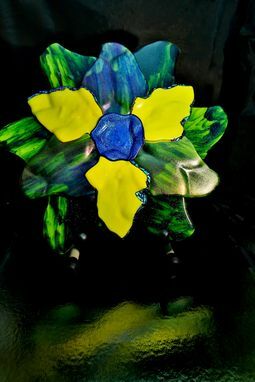 "From Earth and Water" Description: Yellow and Green petals w/Dichroic Blue center petal. Approximately 17.5 in. tall. Can be mounted on a wall or displayed on included stand.